Celebrities are THE fashion icons for beauty, makeup — and of course, hairstyles. 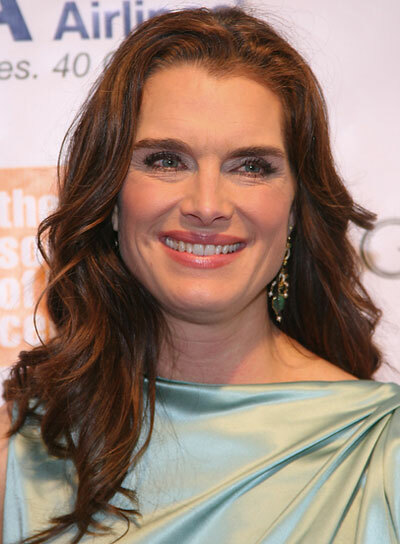 Brooke Shields is no exception. That’s why we’ve got Brooke Shields photo galleries, pictures, and general beauty news on this celeb. Her style is totally inspiring and worth checking out. So if you’re searching for some beauty tips, hairstyle options, and fashion advice, turn to Brooke Shields. She’ll bring your fashion to a whole new place. 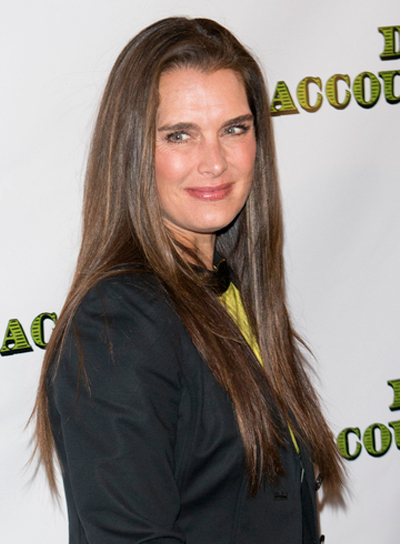 Brooke Shields' pretty curl might take some work with the curling iron, but they're worth it. Steal her style:1. Rub texturizing mousse through dry, unwashed hair and comb through, parting your hair down the middle.2. Use a 1 1/2-inch curling iron to curl your hair in sections. Clamp the iron starting from your ends, and twist it up to your ear. Hold for 5-10 seconds before letting go, and move on to the next section of hair. 3. Gently finger comb your curls to loosen them a bit, and mist them with strong-hold hairspray.4. If your roots look greasy, sprinkle some hair powder along your part and rub it in well to soak up the oil.